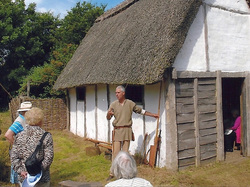 Saxonhouse is a centre for exploring the life and culture of the early medieval period. 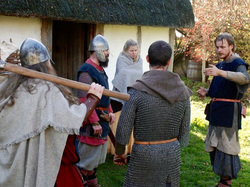 Featuring a reconstruction of a Saxon craftsman's home, the site lets you step back into the day-to-day existence of a Saxon family. During the 5th century Germanic tribes settled Britain including the kingdom of Lindsey. The Saxonhouse site is also home to many species of birds, mammals, reptiles and insects. 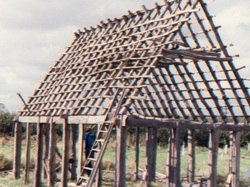 In 1995 a lorry load of felled oak was delivered, we took a deep breath and began to build. 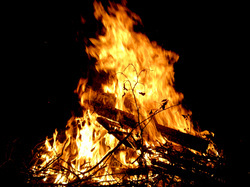 We enjoy welcoming groups, families and individuals at pre-arranged times. 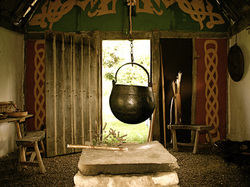 Throughout the year, Saxonhouse hosts events: re-enactment, nature watches, celebrations.